Southern My Way – Winner! 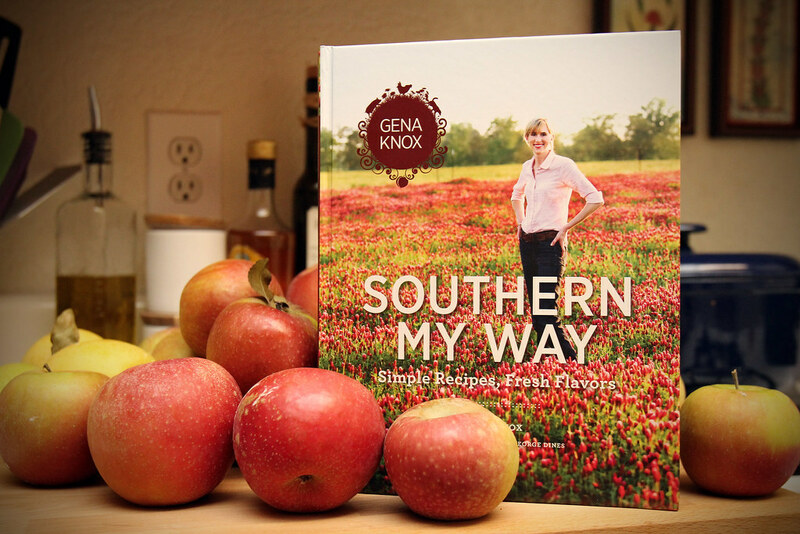 Thanks to the fine folks at Fire and Flavor for donating a copy of Gena Knox’s latest Cookbook “Southern My Way: Simple Recipes, Fresh Flavors“. We had a really great response and lots of you entered on Twitter, left comments here on the website and joined us on Facebook. I know Gena enjoyed getting all the “Thank You” messages on Twitter and I encourage everyone to continue to reach out to the folks we’ve been writing about and talking to on Facebook,Twitter and email we know they really enjoy hearing from you. So to select the winner we placed all the names of those who entered into a mixing bowl and drew one out, if you entered more than one way put your name in multiple times. Now for what you guys have been waiting for the the winner of the “Southern My Way cookbook and Hungry Southerner T-Shirt is: Jozette Kauffman. Congratulations! Thanks to everyone who participated, keep your eyes open real soon for our next fun give away! I’ve. Never. Won. A. Giveaway. Ever! And I couldn’t think of a better thing to win!